Get clubs that are fitted to your game! The Shilo Pro Shop now has the ability to fit you for a club that suits your game by using our Titleist and Mizuno fitting carts and state of the art Flight Scope Radar Launch Monitor. 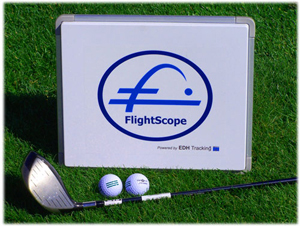 The FlightScope® golf ball tracking system to help provide better club fitting capabilities as well as detailed private instruction & practice sessions. The detailed information provided by the FlightScope® will assist us when recommending correct lofts, shaft types, flexes and weights of custom fit equipment. During a club calibration data is recorded for every club in your bag. We will be able to determine the different characteristics of each club and make recommendations on how to fill gaps, and customize the set to be more effective for each individual player. A club comparison session allows the player to track the performance of different clubs head-to-head. We will be able to determine the best clubs based on actual performance figures. Your golf swing may not be perfect. But it’s yours. Whether you’re a scratch golfer or you just play occasionally, getting the most out of your swing means a better round of golf. And nothing will improve your game more quickly than a set of clubs matched to the unique nuances of your swing. 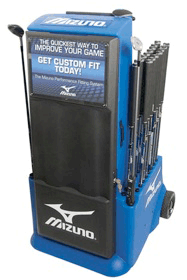 Mizuno’s Performance Fitting System is the only club-fitting method that fuses the expertise of professional Mizuno fitters with the state-of-the-art analysis of our exclusive Shaft Optimizer. Every aspect of your swing is considered when fitting each club. You’ll feel the difference immediately, and you’ll see the results on your very next round. Golf is all about confidence, in your game and your equipment. That’s why Titleist designs the highest performing equipment and offers the most precise club fitting experience in the game. Titleist’s approach to fitting begins with a unique understanding of players’ performance needs born from working with PGA Tour players, PGA Professionals and amateurs serious about getting better. Our highly skilled team of fitters utilizes the most advanced tools to help players optimize driver performance, make iron play more precise, dial in their wedges and fine-tune set compositions. The best way to truly appreciate the high performance value of Titleist golf clubs, achieve total confidence on every shot and shoot lower scores, is to experience Titleist club fitting for yourself. Copyright © 2019 Shilo Country Club All Rights Reserved.